The Vampire Diaries series finale: Did ending, Nina Dobrev’s return satisfy you? The Vampire Diaries series finale aired on The CW Friday night, and what it gave to us was an opportunity to see some characters find happiness, even if it wasn’t easy for them to do so. Specifically, we also saw the biggest character death in the history of the show: Stefan. He was the one who made the ultimate sacrifice for the sake of Damon and everyone else, and that is still a very difficult pill to swallow. He’s the character who everyone wanted to see make it through this situation alive, but unfortunately, that didn’t quite happen. Stefan specifically died so that Damon could live, and he did just that with Elena, who made it back to the world and she and Damon had a chance to live out a happy future. The same goes, presumably, for a few other characters within this world. Matt got a chance to remain a Sheriff, and Klaus ended up helping to fund one of Stefan’s dying wish — a way to help so many other people. There were cameos aplenty within the final episode, and most of them were rather fantastic. After all, we had opportunities in the hour to see appearances from the likes of Jenna, John, Jeremy, Enzo, and many more characters important to the show and its legacy. The title here was “I Was Feeling Epic,” and that absolutely feels right in retrospect. We also think that a certain Klaus / Caroline letter could have people buzzing in terms of if there should be any future there. Overall, we do think that The Vampire Diaries series finale did a good job trying to tie up most of its loose ends and give the show an interesting ending. Sure, there are some people out there who are livid about what happened, but isn’t that often the case with some of these finales? It’s just something that comes with the territory of being on TV these days. There are always going to be situations in which people are angry. We just would say that even if you did not love the ending to The Vampire Diaries series finale, remember that the journey is just as important as where it ends up going in the end. 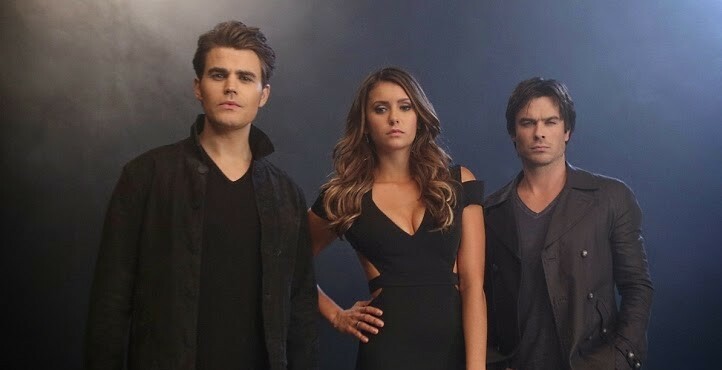 What did you think of The Vampire Diaries series finale and its ending? How is this going to impact the show’s overall legacy? Share in the comments below!